As a patient who got braces later in life, looking back I would definitely do it all over again. Dr. Horner and his team were super caring and helpful and guided me through the whole process which turned out fantastically. My experience with Horner Barrow Orthodontics was by far the best! I couldn't have chosen a better place. They took good care of me from the moment I stepped into their office until the minute I left. Everyone was just so friendly. My teeth turned out Amazing! I've dreamt about this day for a VERY long time. It was something I was able to accomplish on my own and out of my own pocket. Thank you Horner Barrow Orthodontics and Team for your tremendous work and dedication!!!!! The staff here are wonderful, they did an incredible job with our daughter! She went in with a lot of areas of concern 2 1/2 years ago, she got her braces off this week and her teeth are beautiful, she can’t stop smiling. Thank You! All of my children have beautiful smiles today courtesy of Dr. Horner, Dr. Barrow, and their great staff !! The staff has always been very friendly. I have had 6 kids get their braces on here and am very satisfied with Horner Barrow Orthodontics. Highly recommend Horner Barrow Orthodontics! Dr. Horner was candid regarding which route to take with my braces, and I appreciated that he didn’t just push the most expensive solution. All of the staff are very friendly, accommodating, and knowledgeable. If either of my children ends up needing braces, this is where we will return! The staff was great and very informative. They explained everything very well. Could not ask for anything more! Everyone is so nice here! I would recommend this place to anyone. Awesome experience for both of our girls! Love it. Amazing result. Great staff. Great clinic! My children will not go anywhere else for their orthodontic care! Love this place!! So nice and they make sure everything is perfect and the staff and docs are great. I never thought my teeth could ever be so nice! Thank you!! Horner Barrow Orthodontics is such a great place to get braces. They are friendly, responsive and provide great results. Love the staff! My daughter has had a great experience at Horner Barrow Orthodontics. I like how easy they are at working with you on payments too. My daughter has only had her braces for 6 weeks and her smile has already improved drastically. Highly recommend them. Drs. Horner and Barrow are wonderful! Their staff is top notch. We have 2 kids that go there, and we have been at this clinic for 8 years. One child has been successfully treated with fabulous results; our other child is just starting. Docs were receptive to our questions and concerns. Scheduling was easy and accommodating. Financing options are available. Consultations are free! I would recommend Horner Barrow Orthodontics to everyone. They were always polite and did a fantastic job. It was a great bonus to always know I would get right in and never have to wait. The doctors and staff at Horner Barrow Orthodontics are friendly and accommodating. All three of our boys were/are patients and we have been extremely satisfied with the care and results they have received. We highly recommend Horner Barrow Orthodontics. Horner Barrow Orthodontics is great! 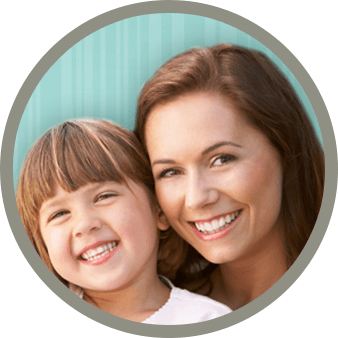 They are very personable and make the process of braces as painless as possible. They explained the process and any time an issue or problem arose they made sure to take care of us. We also had some great assistants. We are very happy with the final results! And the staff is excellent. Very professional and friendly! Would definitely recommend! Drs. Horner and Barrow are so professional and knowledgeable. All three of my kids were treated by them with beautiful results. The staff is so friendly and efficient too. A very well-run practice and the best at what they do! Horner Barrow Orthodontics was wonderful! As an adult patient, I felt they made the process as smooth and normal as possible. They were up front and honest at each check up, so I never felt surprised with how treatment was going. I would highly recommend them! Best place for my whole family. Very flexible with payments which helps. Great clinic!!! Docs are wonderful and cared about my concerns. Staff is friendly and efficient. Our oldest recently "graduated" from her care with fabulous results. Early care (Phase I) is included in overall price, which I appreciated, as Phase I tx started at age 7 for my daughter. Scheduling is easy and accommodating. Financing options are available. Consultations are free, so check Horner Barrow Orthodontics out! Thank you for all you did to make the orthodontic process as quick and easy as possible. You and your staff are top-notch! Drs. Horner and Barrow have treated all three of my kids with beautiful results. In my opinion, they are the best in the business. The staff is friendly and efficient, we never have to wait for our appointment, and the doctors are so knowledgeable. Almost sad that our last child is done, it's like leaving family! Thanks, Horner Barrow! Two of my sons had orthodontic treatment at Horner Barrow orthodontics, so when I selected an orthodontist for my treatment it was an easy decision. Dr. Horner modified a treatment plan and office visits to accommodate a busy schedule. My treatment was completed on time and I am very happy with the experience and the results. Horner Barrow Orthodontics and their staff did a great job correcting my son’s overbite. Service was friendly and timely. The treatment plan that Horner Barrow Orthodontics provided was accurate and appropriate. Appointments were easy to schedule and nearly NO waiting time. The end result was on time and was BEAUTIFUL! As someone who waited until their 50’s to embark on this journey, I was able to gain a new appreciation of what many teens go through. I wonder if I would have been able to endure it at that age. Dr. Horner and the team were excellent every step of the way. The end results are amazing. I would definitely do it again. We could not be more happy with the quality of service at Horner Barrow orthodontics throughout the entire orthodontic process. The entire staff is friendly and knowledgeable. Dr. Horner and Dr. Barrow always took time to explain the situation and options. We are so happy with the results from our son’s braces. Our next son will be getting his braces in the next couple of months. He was born missing some teeth and we are very happy with the treatment plan Horner Barrow Orthodontics has designed for him. We know he will also get a beautiful smile. We are very pleased with our son’s orthodontic results. The appointments were easy to schedule and always efficient. Thank you Horner Barrow Orthodontics for your excellent care! Horner Barrow Orthodontics is awesome! Super friendly and knowledgeable doctors and staff. It has been a quick and painless process. Aiden had such a great experience at Horner Barrow Orthodontics. We are so happy with his new smile. This was my second time around with braces, having had them 15 years ago as a teenager in Minneapolis. My lower jaw grew forward into my 20’s and I needed retreatment to correct my bite. At first I was reluctant to sign up for another two years of orthodontics in my life, remembering how miserable it was as a teenager. However this time around with Horner Barrow Orthodontics was a much more positive experience. Everything seemed much easier and faster. As an adult with two kids and someone who travels for work, the best part was their scheduling. Not once in two years did I have to miss work, kid’s activities, or go out of my way to make it to an appointment. Also, their coordination with my primary dental provider and other specialty offices that are a part of my overall treatment was impressive. We have been very pleased with our daughter’s care at Horner Barrow Orthodontics since the day we started orthodontic treatment. Very professional, no nonsense, honest and it just felt good from Day 1. We had visited other offices in Sioux Falls and Horner Barrow was the perfect fit for us. All 3 of our children had braces with Horner Barrow Orthodontics. Great service and they all have great SMILES! We had 2 in braces at the same time. They are very happy with their SMILES and so are we. The staff at Horner Barrow Orthodontics are top notch and very efficient. They always helped us schedule appointments around our children’s school schedule. Thanks Horner Barrow! You Rock! The entire team at Horner Barrow Orthodontics is exceptional! Our son’s orthodontic treatment went very smoothly. We have two other children that will need braces—we will definitely go back to Horner Barrow Orthodontics! Dr. Horner is very honest and helpful. He did not suggest anything more than necessary to correct our daughter’s bite problem. He is very patient and kind and does a great job. Everyone at Horner Barrow Orthodontics is very friendly and helpful. It was a great experience from start to finish. We give them our highest recommendation! The doctors and staff at Horner Barrow Orthodontics always kept us informed of how our daughter’s treatment was progressing. Horner Barrow Orthodontics provided excellent friendly service. Dr. Horner is very knowledgeable and explained everything very well. We are very pleased with our son’s results. The staff was always extremely courteous and kind. In today’s world, it is great to have exceptional customer service like we received from Horner Barrow Orthodontics and expert care of our children’s teeth. Thank you Horner Barrow Orthodontics! Thank you for the awesome experience our daughter had at Horner Barrow Orthodontics. All of you do a fantastic job and we will recommend you to everyone. Job well done! The staff and doctors at Horner Barrow Orthodontics were so wonderful! This was my second time with braces and Dr. Barrow made it such an easy process. I now have a beautiful SMILE to prove it! This emotionally stressful orthodontic experience was very well handled by the fine folks at Horner Barrow Orthodontics. Middle school years are difficult enough without braces. Thanks for making the experience such a pleasant one for our son. The doctors and staff at Horner Barrow Orthodontics are very friendly and professional. They explained every phase of the orthodontic treatment and made us feel comfortable throughout the entire process. Our daughter’s smile is beautiful. I recommend Horner Barrow Orthodontics to everyone, without hesitation! I love Horner Barrow Orthodontics! The staff was very nice to work with. My teeth went from horrible to amazing, from crooked to straight. Thanks for making my smile something worth showing off. It was a very smooth process. They never ran late with our appointments and the staff was always very friendly. Clare’s SMILE turned out beautiful and much quicker than we had expected. Dr. Horner was my orthodontist when I had braces in my early twenties. When our son needed braces, there was no doubt in my mind who I would take him to. We are thrilled with the results and so is he! He doesn’t mind me taking pictures of him anymore and he even gives me a BIG SMILE! Thank you so much! Our daughter just finished her orthodontic treatment. She is our third family member to have orthodontic treatment with Horner Barrow Orthodontics. We are very happy with all of their beautiful Smiles! We are also glad we chose to have their treatment done by an orthodontist rather than a dentist that does orthodontics. Thanks so much! Dr. Horner and the team at Horner Barrow Orthodontics were always very friendly and explained what I could expect from each appointment. They were skilled, compassionate and kind. Dr. Horner showed empathy and was always concerned about my well-being. The office is very clean and inviting. I highly recommend Horner Barrow Orthodontics for anyone needing orthodontic treatment for themselves or their family members! Our daughter wore full braces for nearly 3 years. Dr. Horner made her experience a comfortable one and he was always so positive about her treatment at every visit. She had a Herbst appliance that corrected her bite and her teeth are all so straight and her smile is dazzling! She is so happy and so are we! All of the hard work certainly paid off. Thank you Horner Barrow Orthodontics! I am very impressed with Horner Barrow Orthodontics! Dr. Barrow did a phenomenal job with my teeth. I give them my highest recommendation. You folks are the best! We have been very pleased with the care we received at Horner Barrow Orthodontics. Dr. Horner treated our children. He has many years of wisdom and experience. He is professional and kind. We were always treated very well by their entire staff. Thank you very much! I was not sure whether I wanted to spend the money for orthodontic treatment for our son. Now that I see the results, I am so glad we made the sacrifice for him. The doctors and staff at Horner Barrow Orthodontics did a wonderful job and our son has a beautiful smile that will last a lifetime. Thanks so much! The staff at Horner Barrow Orthodontics was always friendly and helpful. They were also willing to guide me to the office when I got lost. They were genuinely happy to see me at every appointment during my treatment. Thanks for making my adult orthodontic treatment a very pleasant experience. Dr. Horner was not sure he could correct my crowded teeth with clear aligners. I wore my clear aligners 24 hours a day as instructed, it was easy, and my treatment was completed ahead of schedule. I am very happy with the results. Thanks so much to the doctors and staff at Horner Barrow Orthodontics. I love my new Smile! The quality of care from the staff and doctors at Horner Barrow Orthodontics was exceptional! We were always treated with respect and greeted with a smile. We will definitely recommend Horner Barrow Orthodontics to anyone that needs orthodontic treatment. Thank you for giving our son a fabulous Smile! Having been a Dr. Horner orthodontic patient over 25 years ago, I knew exactly who I wanted to take my children to for their orthodontic treatment. Our second child is now in treatment and we couldn’t be happier! Both of our children adjusted well to their braces and the staff was great with instructions. The office is beautiful and you’re always welcomed with a big smile. Can’t say enough about the care we are receiving by the doctors and staff at Horner Barrow Orthodontics! The doctors and staff at Horner Barrow Orthodontics were very friendly. We were always informed of every step of the treatment and follow-up care. They did a great job with our daughter’s teeth and we will recommend them to all of our friends and family. Our experience at Horner Barrow Orthodontics has been exceptional. The doctors and staff are skilled, knowledgeable and very friendly. Every appointment was on time with no long waits. Best of all, our son has a fantastic Smile! We will definitely have our other children treated at Horner Barrow Orthodontics. Everyone at Horner Barrow Orthodontics is so polite! As a busy family, we really appreciated how quickly each appointment was. Thanks again for the great orthodontic experience from start to finish. When your child won’t smile because they are self-conscious about how they look, it is time to do something about it. Now, my heart sings to see my son’s smile as he is beaming with his new Smile. His self-confidence has increased and he smiles at the slightest things. We are so very glad we had our son treated at Horner Barrow Orthodontics. We have three daughters in various stages of orthodontic treatment. Two of them are finished with their treatment. We are very happy with their orthodontic treatment and how friendly all of the staff members have been. Dr. Horner was my orthodontist when I was in high school. My teeth have remained straight for almost 30 years. This is one of the reasons we wanted our daughters to be treated at Horner Barrow Orthodontics. Thanks so much for the care given to me and our daughters. Horner Barrow Orthodontics is the Best! The receptionists always recognized us when we walked in the door. They always made sure we had our next appointment scheduled. The doctors and assistants were very nice even when they had to visit with us about ‘brushing and flossing’ better. The doctors and staff at Horner Barrow Orthodontics are Great! We had two children in orthodontic treatment from Horner Barrow Orthodontics and both were treated in less time than was expected. The staff was always very friendly and flexible when helping us make appointments. Thanks so much for their beautiful smiles! Our son had a very positive orthodontic experience. From the moment he walked in the door he was always greeted with a friendly smile. He often went to his appointments alone. He always came home knowing exactly what they had done at that appointment. He had a very busy schedule and the staff were always very willing to make changes with his appointments as needed. When I asked Jacob what he like the best about Horner Barrow Orthodontics, he says, ‘the receptionist with the red hair.’ His teeth look amazing! Thank you so much to everyone at Horner Barrow Orthodontics! Dr. Horner and Dr. Barrow are always available to help with any problems you may have during your orthodontic treatment. They go above and beyond the call to meet the needs of their patients. Our son had an after-hours issue with his braces and Dr. Horner met us at 10:30 PM on a Friday night to fix the problem. That’s being responsive, day or night, to their patient’s needs! Thanks again for the great job you did for our son! The doctors and staff at Horner Barrow Orthodontics are the most caring, talented and amazing team I have ever had the privilege to work with. They did amazing things for our grandson. We can’t thank you enough. I was extremely nervous about getting braces before my initial appointment at Horner Barrow Orthodontics. From start to finish, I always felt very comfortable and everyone treated me great. My smile looks GREAT! Dr. Barrow and Dr. Horner are AWESOME! I had braces on for about 2 years. I am amazed that my treatment finished that quickly. My teeth look great now and I am extremely thankful to the doctors and staff at Horner Barrow Orthodontics for all they have done for me. Our experience with Horner Barrow Orthodontics was great! They were in no rush to put braces on our twin girls following them for almost 3 years before it was the right time to start orthodontic treatment. They took the time to explain that treatment was not just for cosmetic reasons but for the teeth to function properly. Their office had a way of making us feel good about decision to proceed with orthodontic treatment and helped us with the financial part, as well. The scheduling staff was kind and pleasant to deal with in person and on the phone. Both doctors were very good with our girls helping them with their questions and concerns. We are very happy that we chose Horner Barrow Orthodontics for our daughter's orthodontic treatment. It took a little longer than expected, but it was well worth it! The self-confidence our girls now have is AWESOME. Thank you so much for giving our girls the beautiful smile that they deserve. Attention to every detail and great personal service is what we received from everyone at Horner Barrow Orthodontics. This is our fourth child to have orthodontic treatment at Horner Barrow Orthodontics. Everything has been wonderful. Thanks for their 'Beautiful Smiles'. Great staff to work with. They were very accommodating when scheduling appointments. They all worked well with our son and gave clear instructions on all aspects of his treatment. His teeth look GREAT! We couldn't be happier. We will and have recommended Horner Barrow Orthodontics to others. Three out of our four children had orthodontic treatment at Horner Barrow Orthodontics and we are very pleased with the results of all three. One of our children had to have braces put back on because of 'non-compliance', and they took care of that for us, too! Always friendly, helpful, thorough and efficient. Morning appointments helped to get our kids to school on time. We are very pleased with the care that we received from the doctors and staff at Horner Barrow Orthodontics and would recommend them to anyone considering orthodontic treatment for themselves or their family members. We have had 2 daughters so far go through orthodontic treatment with Drs. Barrow and Horner. Both girls had excellent experiences at all of their appointments and throughout the entire process. We have 2 more children. If they need braces, we will definitely have them treated at Horner Barrow Orthodontics! Emily was the 6th daughter in our family to have orthodontic treatment at Horner Barrow Orthodontics. We are uniquely qualified to recommend Horner Barrow Orthodontics for your family and friends. They did a great job for all of our daughters. At 56 years of age, it seemed that orthodontic treatment for 2 years would be an eternity. Dr. Barrow, Dr. Horner and the staff addressed my every concern answering my questions with professionalism, making my experience very 'doable'. The results have exceeded my expectations. The staff at Horner Barrow Orthodontics are a pleasure to work with. The office is run so very efficiently. Both doctors have provided our family with excellent orthodontic care. Thanks so much! The staff and doctors at Horner Barrow Orthodontics did a wonderful job correcting my deep impinging overbite. My dentist told me if I did not get it corrected, I would loss my teeth. Not only do I have straight teeth, I also get to keep all of them. I am very pleased with the entire experience. Thanks so much! Our daughter had a very pleasant orthodontic experience. The long process did not seem so long when everything was explained to us. Her teeth are straight and her smile is so beautiful. The front office staff was always so friendly and made us feel welcome at every appointment. We have already recommended Horner Barrow Orthodontics to our friends and family. We could not ask for a better orthodontist! Our son was treated with respect and the highest level of care. He enjoyed every orthodontic appointment and his smile is perfect! Thank you to the entire staff at Horner Barrow Orthodontics. From the first time we entered the office, we were greeted with smiles by a very friendly staff. Everyone was great to work with and treated our son with respect. The clinical staff always explained everything that they were doing at each appointment. Horner Barrow Orthodontics is a very professional, up-to-date office with an awesome staff. We will definitely refer others! If you want a friendly staff, outstanding doctors, convenient on-time appointments and straight teeth, call Horner Barrow Orthodontics. My wife and I went through orthodontic treatment together at Horner Barrow Orthodontics and we couldn't be happier with the results. You guys are awesome! We are sad that our second child is already done with her orthodontic treatment at Horner Barrow Orthodontics. The staff and doctors are Great!! They are super organized and efficient, flexible and very accommodating. Our third child will soon be ready for orthodontic treatment and we wouldn't go anywhere else for his treatment. Thanks again!! All three of our children have had orthodontic treatment at Horner Barrow Orthodontics. We are more than satisfied with their results. From start to finish, we could not have asked for better care. The office is beautiful, designed well, and in a great location. The front desk staff is always friendly and welcoming. The doctors are easy to talk to and highly skilled. They spell out the treatment plan and always keep the patient and parents well informed about what they are doing. The clinical staff is outstanding. It is obvious they enjoy their work and their attitude puts the patients at ease. The treatment coordinator spells out the cost of treatment and arranges a payment plan that fits your budget. From your first new patient appointment to your last retainer appointment, no where are you treated better than at Horner Barrow Orthodontics. Our daughter received the most personalized care at Horner Barrow Orthodontics. We were met with a smile and a warm welcome each and every visit. We never had to wait for our appointment. Every aspect of her treatment was explained to us very well and they included us in the entire process. We recommend Horner Barrow Orthodontics to everyone! We appreciated their “only do what was necessary” treatment approach. There was no hype or high pressure. Drs. Horner and Barrow were able to achieve outstanding results without the complicated treatment that another orthodontist had recommended, in less time and for less money. We are so glad we had our daughter's orthodontic treatment at Horner Barrow Orthodontics. The best part of my experience with Horner Barrow Orthodontics was the staff. They were always welcoming and nice. The doctors were also the best. They always explained everything they were doing and made sure my parents were well informed, also. Thanks so much. I love my new smile! Four family members, myself included, and eight years of orthodontic appointments and never once was I disappointed or frustrated with the process. 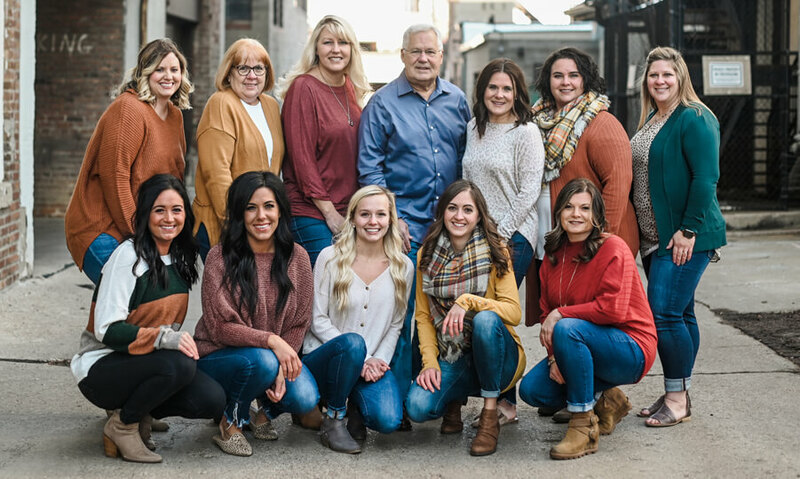 From beginning to end, Horner Barrow Orthodontics provided our family with exceptional customer service and the highest level of professionalism. The doctors and staff at Horner Barrow Orthodontics were very professional and wonderful each time I had an appointment. I am so pleased with my results and it only took 18 months. Every day I get compliments on my beautiful smile. Horner Barrow Orthodontics is #1 on my list. We were in a tough spot; two children in need of braces now and two younger siblings that would need braces soon. Given our financial situation, we thought we'd have to settle for crooked teeth. However, thanks to a reasonable down payment, a family discount and interest-free payments, all four of our children have beautiful smiles from Horner Barrow Orthodontics. I am an adult orthodontic patient of Horner Barrow Orthodontics. At each appointment, I felt like I was walking into an office of friends. The staff is great. I always had the highest level of confidence in the skills of the doctors at Horner Barrow Orthodontics. Thanks again to all of you for making my orthodontic experience so very pleasant. The best part of the orthodontic experience for us was watching our daughter's smile become so beautiful. They did not rush the process. They wanted the very best for our daughter. The Horner Barrow Orthodontics team is very professional and our daughter's smile is an example of their outstanding work. We loved the courteous staff and the easy scheduling. Our daughter's orthodontic treatment was a breeze at Horner Barrow Orthodontics. Her smile is so beautiful. Thank you so much! We are all amazed at our son's smile. The thing that surprised us the most was how quickly his teeth straightened out. We will definitely recommend Horner Barrow Orthodontics to all of our friends and family. Thank you so much for all you did for me during my orthodontic treatment. You were all so helpful! From setting up each appointment to fit my schedule to explaining each step of my treatment to assuring me that the braces would eventually come off, you were all so sweet, smiley and helpful. I am so glad I found such a wonderful and accommodating orthodontic team at Horner Barrow Orthodontics. How happy are we with Horner Barrow Orthodontics? Extremely! My self and our three daughters have all been treated by Dr. Horner over the past 20 years. Our third daughter recently finished her orthodontic treatment. It is amazing what a Beautiful Smile can do for the self-confidence of a young person. We are very satisfied with the results. Thank you so much! Thanks for the great job you did for our two sons. Their teeth look GREAT! We are very impressed with the level of care we received at Horner Barrow Orthodontics. We were very pleased with the entire process. If we ever needed to get in fast for a quick check, we never had to wait. Usually, we were seen the very day we called. We will recommend Horner Barrow Orthodontics to all of our friends. And our other children will be treated at Horner Barrow Orthodontics. Thank you to the doctors and staff at Horner Barrow Orthodontics. Your professionalism, courtesy and friendliness made this an awesome experience. The results are AMAZING! Thank you from the bottom of my heart. The staff and doctors at Horner Barrow Orthodontics are Awesome! They made us feel welcome and the results were amazing! Our 3 children's teeth look beautiful. We could not have asked for a better experience than what we received from Horner Barrow Orthodontics. You all are amazing. Our son's smile looks wonderful! We cannot believe how fast the treatment was and with such outstanding results. We loved the whole experience. Horner Barrow Orthodontics will always be our first choice for orthodontics and the only orthodontic office we will recommend! We are completely satisfied with the orthodontic treatment our daughters received at Horner Barrow Orthodontics. The service was always fast and the staff was friendly and efficient. We rarely had to wait even for a few minutes during our appointments. It is easy for us to recommend Horner Barrow Orthodontics to all our friends and family. You guys are all great! The three front desk ladies are the best. Now that I am out of braces, I actually miss coming to see all of you at Horner Barrow Orthodontics. Thanks for making my orthodontic experience so awesome. We are very pleased with our experience at Horner Barrow Orthodontics. Our daughter is now considering orthodontics as a career…enough said. I was a little nervous about getting braces as an adult. The doctors and staff at Horner Barrow Orthodontics always made me feel comfortable. They were very helpful accommodating my 'Mom' schedule. I was always informed about how my treatment was progressing. The doctors were very thorough and made sure everything was just right before removing the braces. The extra time and effort really shows. I am extremely happy with the results! We are very pleased with our daughter's smile. It is amazing. Her orthodontic treatment lasted about 2 years and everything went very smoothly. The payment plan was great and everyone at Horner Barrow Orthodontics was very easy to work with from start to finish. I had my own orthodontic treatment done by Dr. Horner in 1992. When our two children were ready for orthodontic treatment, I was pleased to see that many of the same friendly staff still worked for Horner Barrow Orthodontics. We have always felt very comfortable with the care provided by Dr. Horner, Dr. Barrow or any of their clinical staff. They always kept us well informed of all procedures, answering any questions promptly and professionally. And best of all, the results are spectacular and their treatments were completed on-time. I do not hesitate to recommend Horner Barrow Orthodontics to all our friends and family. What a great result. Our son's teeth look wonderful! The staff at Horner Barrow Orthodontics is professional, courteous, and very friendly. All questions were answered in a respectful manner. We are very pleased with our experience at Horner Barrow Orthodontics and highly recommend them. We drove more than 100 miles each way to Horner Barrow Orthodontics. We could have driven only 30 miles to an office closed to our home. We made the right decision and are very happy we chose Horner Barrow Orthodontic for our daughter's orthodontic treatment. Horner Barrow Orthodontics was a great choice for our family. The staff and doctors were very helpful and flexible with scheduling appointments. We rarely had to wait to be seen. All procedures were explained thoroughly. Keep up the great work! Our daughter is a happy, fun-loving young person. She has been in all high school activities related to chorus. She is always smiling and singing. Without the great work that you did for her smile, she may not have had the confidence to enjoy all of these high school activities. Every time we see her smiling or singing, we are so very glad that we had your help and that we went to Horner Barrow Orthodontics for expert orthodontic care. The best part about having our daughter's orthodontics treatment at Horner Barrow Orthodontics was how great the staff was when scheduling appointments. They always work with us to make our appointments the most convenient for our family. It was also comforting to see the same staff at the reception desk each month. As a parent, I can appreciate the process that is necessary to achieve excellence in orthodontics. From researching insurance benefits for us and explaining payment options to scheduling appointment that were always convenient for us, the staff at Horner Barrow Orthodontics handled everything with the highest level of professionalism. Every step of the orthodontic treatment was clearly explained using x-rays, photos and models of our son's teeth. In a short 2 years, the treatment was completed and the results were way beyond our expectations. It was a great experience from start to finish and we can't stop raving about the excellent treatment we received from the doctors and staff of Horner Barrow Orthodontics. We sought two opinions when shopping for orthodontic care for our daughter. She had a severe overbite and spacing between her teeth. The other office recommended jaw surgery to correct her problem. Horner Barrow Orthodontics corrected her malocclusion without jaw surgery and the results are excellent. We are very happy that we chose Horner Barrow Orthodontics for our daughter's orthodontic treatment. I recommend Horner Barrow Orthodontics to everyone. The entire staff at Horner Barrow Orthodontics is well trained and great to work with. I have a beautiful smile and renewed confidence thanks to Horner Barrow Orthodontics. My brother took his two daughters to Horner Barrow Orthodontics and was very pleased with the results. He recommended Horner Barrow Orthodontics for our daughter and we are glad he did. Her smile is beautiful! The staff and doctors at Horner Barrow Orthodontics are very professional and upbeat. Our experience was wonderful from start to finish. We highly recommend Horner Barrow Orthodontics to everyone! The doctors and staff at Horner Barrow Orthodontics are very friendly and our daughter always enjoyed her orthodontic appointments. Everyone was always so nice. Scheduling was a breeze. There were always opening to fit our busy schedule. Our appointments were on schedule and we never had to wait. Thank you!